Are you a football hipster? Ever wanted to know if you’re a true football hipster? Well, today was your lucky day! The Guardian’s most recent quiz allows individuals to determine just how much of a football hipster they are, simply by answering a few questions online. Said quiz can be found here. Twitter subsequently exploded with all manner of responses to the quiz, from the ambivalent to the sarcastic, to the downright malevolent. Who’d have thought a simple online quiz could cause such a mass of responses from the football community? Albeit, mostly from the sphere of writers and bloggers. Then again, I suppose that’s the sort of reaction we’d expect from the modern, social media marvel that is Twitter. The quiz itself was fraught with all the usual hipster idiosyncrasies, beginning with a picture of Italian striker, Pablo (sorry, Dani) Osvaldo with his long, ponytailed hair, unkempt beard and thick-rimmed gigs. 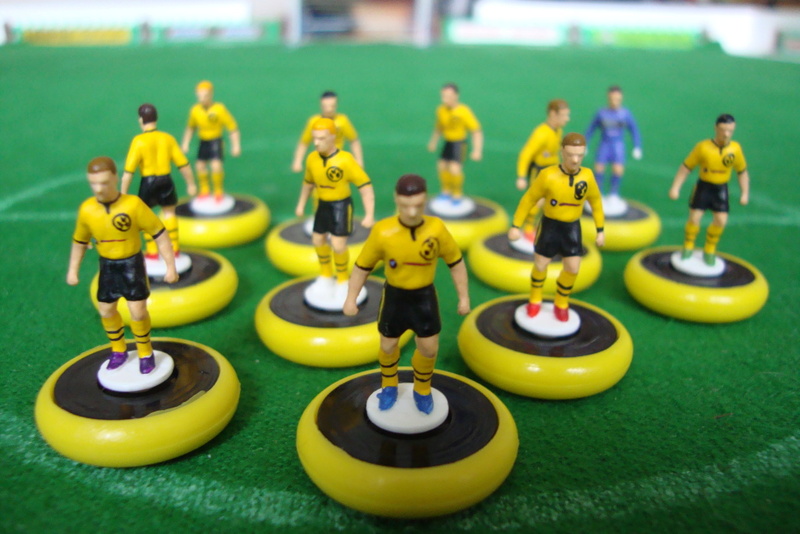 There were also references to the Borussia Dortmund of 1996, the scientific, Soviet football manager, Valeriy Lobanovskyi, the Italian catenaccio defensive system and what hipster list would be complete without including Jürgen Klopp or FC St. Pauli? But how can anything or anyone for that matter, call itself hipster? Surely you can’t declare yourself hipster as that would not be the hipster thing to do? It defeats the whole idea of the hipster to label yourself hipster as that task is for the rest of the world, in their infinite wisdom to decide. And by virtue of that statement, I’m surprised the whole universe hasn’t crumbled under the weight of the football hipster paradox and subsequently found itself sucked into a Jonathan Wilson-shaped black hole left in the wake of an utterly contradictory quiz on The Guardian website. On yet another level, I didn’t take the quiz. So, does that actually make me a hipster by not participating in something that everyone is talking about/doing? Or further still, am I not a hipster simply because I’m writing about an entity that declared itself hipster? These are obviously the most important questions that need to be answered if we are to further the debate over the football hipster. The Guardian should be ashamed of itself using the football hipster name in vain! I mean, true football hipsters don’t go ‘click baiting’ do they? Publishing something online simply to get a lot of views? Disgusting! It’s not as if people can decide for themselves what constitutes quality content!? Can they? Even more outrageously, it even gave Wilson a chance to plug his own football hipster bible, Inverting the Pyramid!